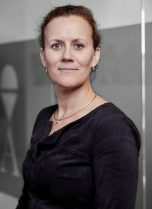 Leontine Koens-Betz is the managing partner of Accuracy’s office in the Netherlands. She has extensive experience in supporting clients with transactions, whether being the preparation, valuation, due diligence (buy-side or sell-side), integration or disputes resulting from transaction, as well as supporting clients in other strategic decisions (including refinancing and restructuring). Leontine joined Accuracy in 2007 and was integral to the opening of the Dutch office. Prior to joining Accuracy, she gained experience as an auditor with Arthur Andersen and as a transaction specialist with a Big4. Leontine is mostly active with engagements in Benelux but has led and been involved in engagements in other European countries (including. the Sweden, Norway, Finland, UK, Germany, France and Switzerland), as well as USA. Leontine speaks Dutch, English, German and French. Leontine is a transaction specialist, who supports a diverse portfolio of corporate and private equity clients with (contemplated) acquisitions and disposals. In transactions, Leontine is involved from initiation to closing or even disputes resulting from the M&A process. Additionally, Leontine has experience in supporting clients with analysis of and support on taking strategic decisions: she also has a broad experience with independent business reviews, performance analysis, business plan reviews and complex modelling engagements. Leontine had an extensive knowledge of the Dutch GAAP and IFRS. Various M&A support engagements for a Dutch health and nutrition MNC in the Netherlands, USA, Germany, Italy, France, Sweden and Finland, including. the investment in a renewable products company and the successful sale of a composite resins distributor and an industry leader in alkyd and resins. Various buy-side due diligence engagements for a private equity firm including the acquisitions of a packaging manufacturer, an electric vehicle charging station producer, a premium fruit and vegetable juice company, a leading software developer and related add-ons. Buy-side due diligence engagements for a private equity firm, including the acquisitions of a custom-designed circuit boards company, a fast food chain, the largest industrial bakery in the Netherlands and related add-ons.